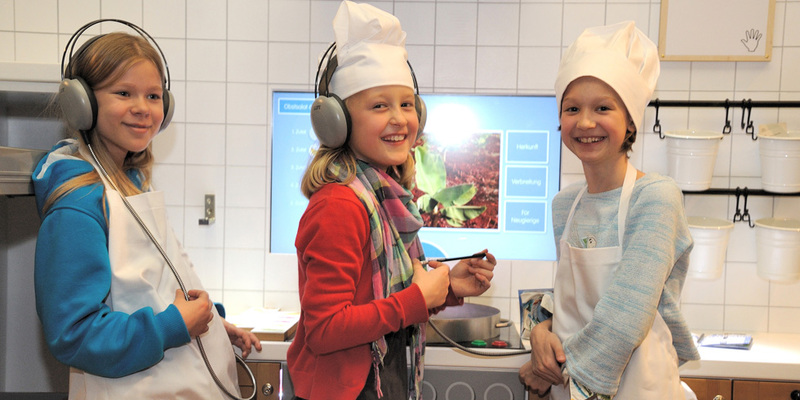 A production of the FEZ's Alice Museum For Children and the Edwin Scharff Museum in Neu-Ulm in cooperation with the ZOOM Children's Museum in Vienna and the FRida & freD Children's Museum in Graz. 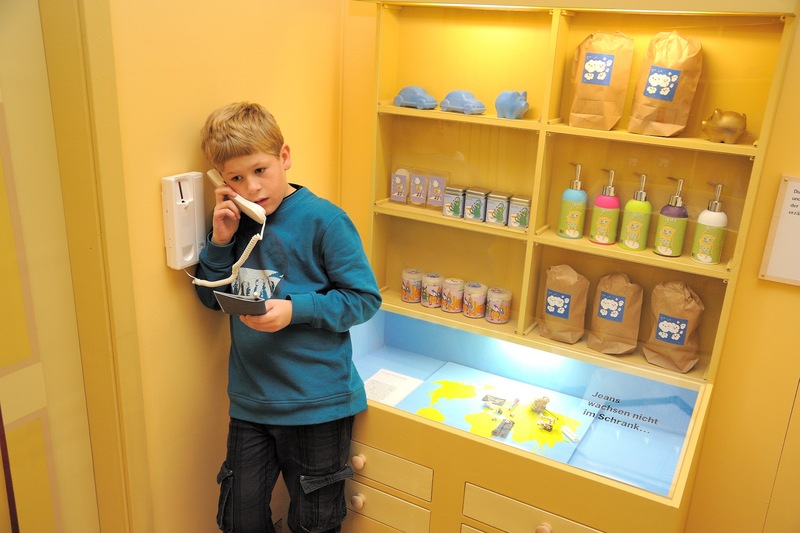 The interactive exhibition "Willkommen@HotelGlobal" at the FEZ illustrates the various opportunities and problems resulting from globalisation by looking at specific examples and comparing these to the experiences of local children. Activie participation is very much encouraged here. The venue is the "Hotel Global" which is inhabited by 9 people from the domains of economy, science, culture and society, each with their own pioneering project. In the hotel, there are no rooms as such but rather 9 scenes from the protagonist's working life. You might find yourself overlooking a container terminal with the captain of a ship, in a rainforest in which primate researcher Jane Goodall is protecting chimpanzees or the laundry room of a Moroccan chamber maid. 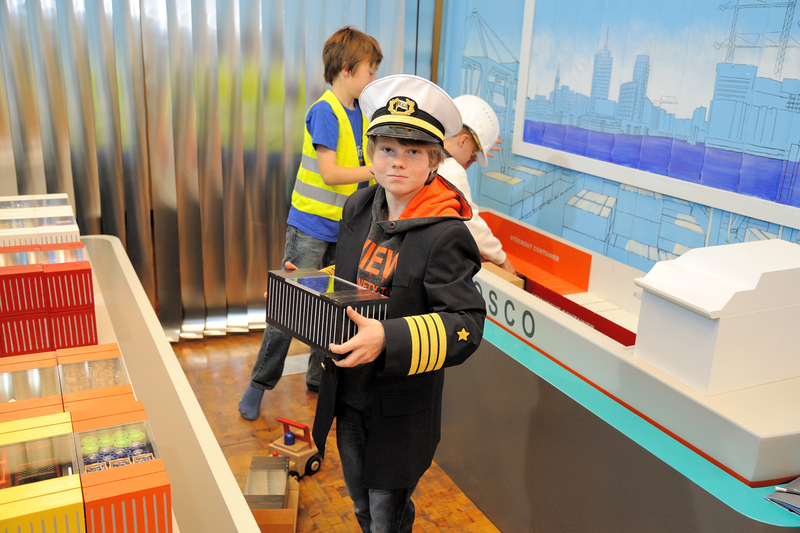 In each scene, young visitors are asked to analyse and evaluate the work being done, with each protagonist being confronted by globalisation in different ways, whether it be in loading a container for delivery to Shanghai or discovering in a shop why sometimes even cheap goods cost more. 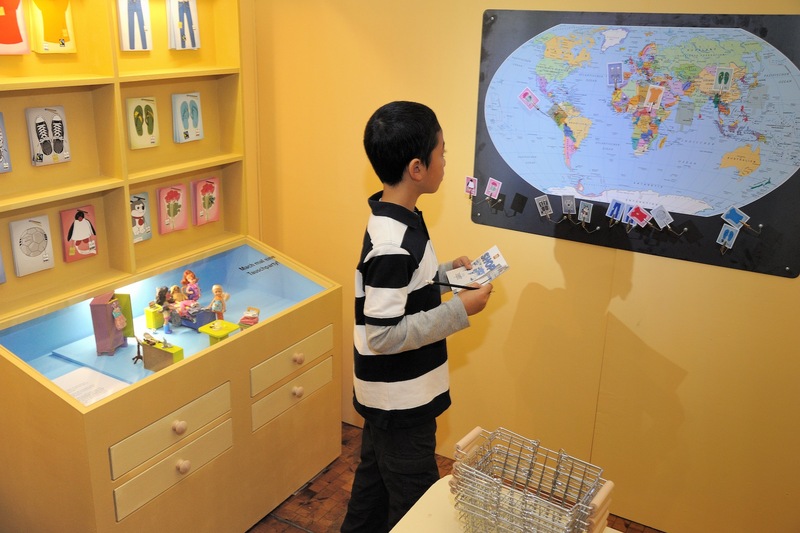 At the end, visitors can hopefully identify the relationships linking globalisation to the various scenes. 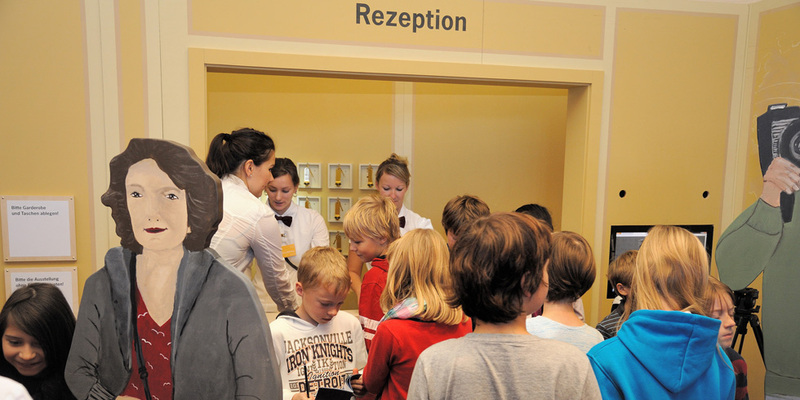 The exhibition is built like a hotel: Lobby with reception for check-in, corridor with red carpet and 12 hotel rooms of the 8 inhabitants (protagonists of the exhibition), hotel shop, common room. Media: telephone in each room, hotel boy to greet the guests, animated economy quiz in 'Buisiness Jet'; videos on the hotel room screens. Labour Migration In the Hotel's laundry room. Fashion & Clothing Youth culture, attitudes to life, ideals, individuality vs. dresscode around the world. In the studio of Parisian photographer, Cathrine Balet. Mobility as a motor for globalisation. 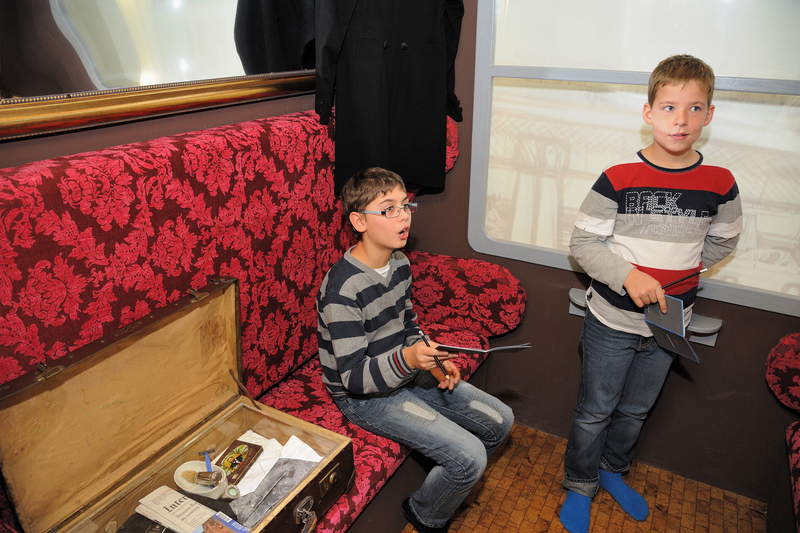 In Phileas Fogg's train compartment from Jules Verne's "Around The World In 80 Days". Global Trade In Captain Mischa Richter's ship and container terminal. Production Conditions around the world. 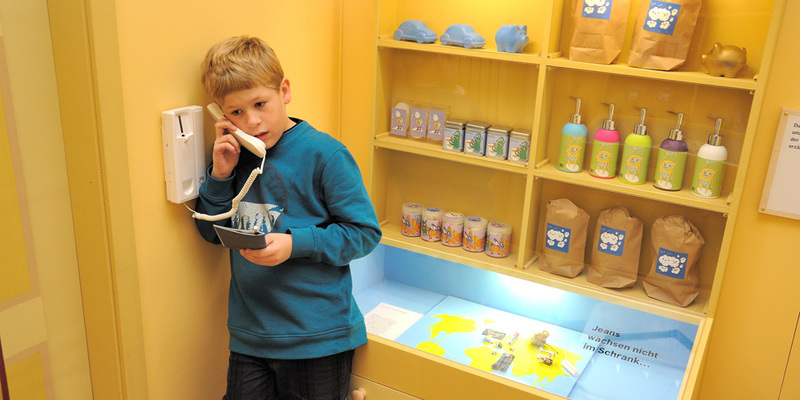 In the shop of products with information about their origins. Responsiblity of consumers. 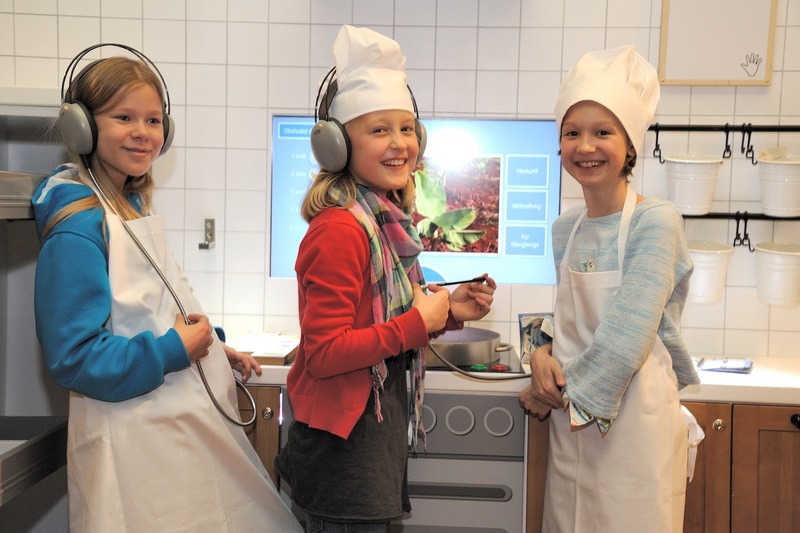 Including interactive cooking game. In Austrian chocolatier, Josef Zotter's kitchen. Environment, Climate & Protection Of Resources in a global context. In the research tent of primate expert Jane Goodall in the rainforest. 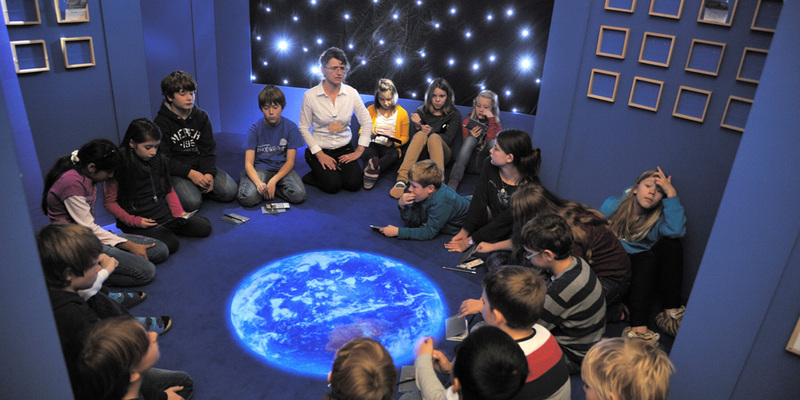 Climate Change Initiatives of children. In the room of Felix Finkbeiner, founder of "Plant-for-the-Planet". Ressources: Producing and trading cocoa, cotton and energy. What are working conditions like in countries where these resources are found? What roll do banks play? Use information to make various decisions. In business class of a plane with projections on the wall. Niger: The Tuaregs historically and in the present. Exploitation of raw materials, nuclear energie and climate protection. In the desert of Niger with contaminated wells. 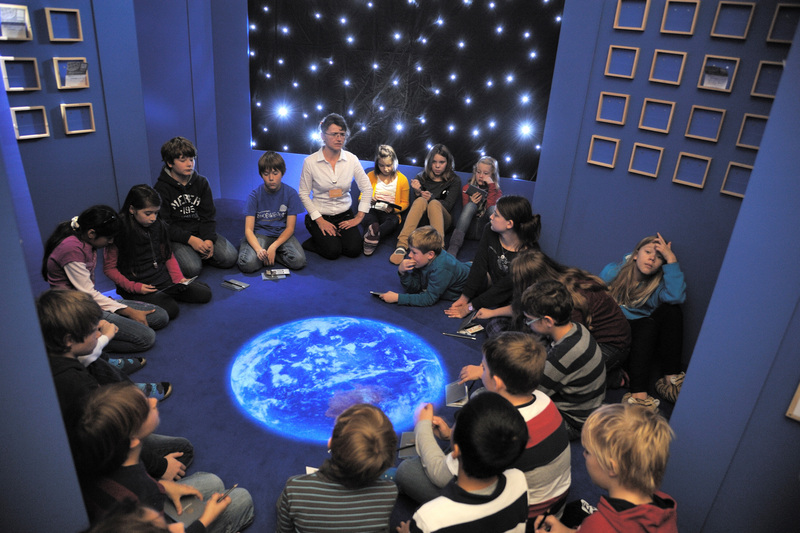 Final Room for supervised and collective discussion with school pupils. 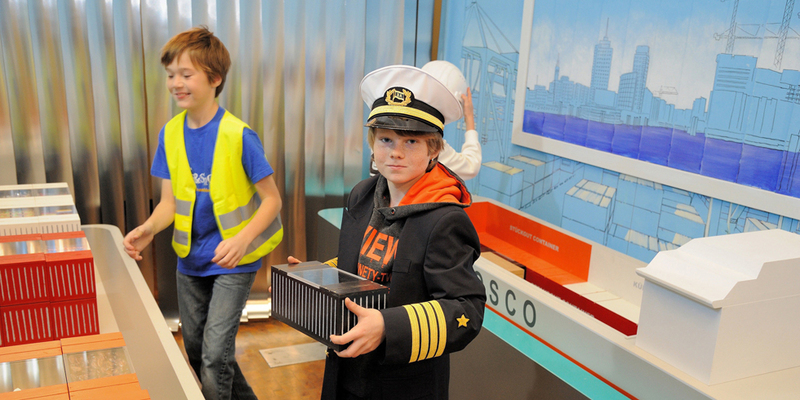 In 2012 Welcome@HotelGlobal won the "Promising Practice Award for International Children’s Museums" - a prize for innovative, unusual and creative projects which promote the aims of children's museums. Jury's Verdict: Children were asked to look at things from multiple viewpoints and suggest creative solutions. Topics included were complex ones such as climate change, world trade or the lack of natural resources. 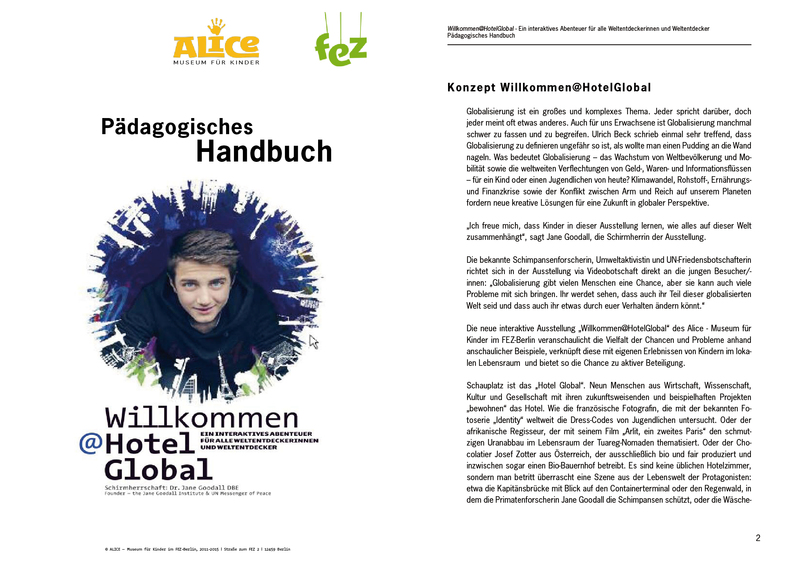 View the handbook to Welcome@HotelGlobal with lots of information about the exhibition.